We at ibd Business Advice Group Ltd. know you care about how your personal information is used and shared, and we take your privacy seriously. Please read the following Privacy Statement to learn more about how we collect, store, use and disclose information about you when you interact or use our website or any related events, sales or marketing, and if you use any of our products or services in any manner. We are registered with the Information Commissioners Office for Data Protection and our registration number is Z935608X. ibd Business Advice Group Ltd. is the Data Controller and will use your personal data as described in this statement. When you visit our website and either use the Contact Us page, register or sign-up for our newsletter we ask for certain pieces of information. If you telephone us we may ask for additional information. If you correspond with us by letter or email you will provide personal information that we may use. The way we use the information we collect through the above methods to respond appropriately to you is summarised here. We collect Personal Information that you supply to us at Events we organise. This is done verbally or by you using one of our data collection forms. This may be hand written or in a digital format and in either instance the personal information you provide, along with your contact preferences and any consents you choose to give us, will be entered into our CRM system. This will then be used to provide you with the services or other information you have requested from us. When someone visits https://ibdbusinessadvice.co.uk/ or https://ibd-uk.com we collect certain information related to your device, such as your devices IP address, what pages your device visited and the time and duration. Responses from these marketing activities come directly to ibd Business Advice Group Ltd. and are not shared or stored by another other organisation. We will enter the personal information collected into our CRM system and check with you to record your preferences for how, and about what, you wish to be contacted by us in the future. Should you request that your information is erased we will deal with this in line with our Right to Erasure Policy. If you are an existing customer, we will only contact you by electronic means (e-mail or SMS) with information about goods and services similar to those which were the subject of a previous sale or negotiations of a sale to you on the basis of legitimate interest. 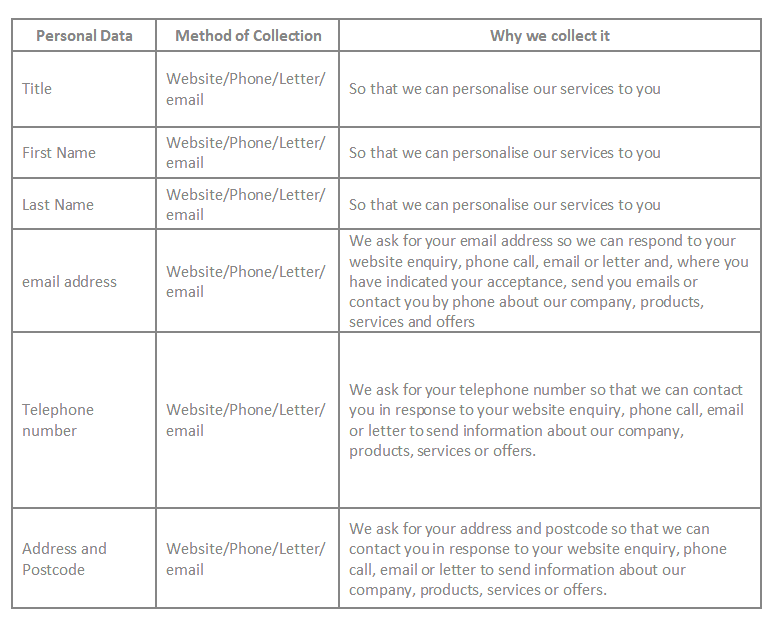 If you do not want us to use your data in this way, or to pass your details on to third parties for marketing purposes, please contact us using the privacy@ibd-uk.com email address or write to us at Privacy Officer, ibd Business Advice Group Ltd., 1010 Cambourne Business Park, Cambourne, CB23 6DP. for other purposes clearly stated on the page or other method by which you provide your information to us. We do not rent or sell your Personal Information to anyone. We may share and disclose your Personal Information only in the following limited circumstances. As we develop our business, we might sell or buy companies or other businesses. If we do so, this might involve transferring customer information relating to the relevant company or business to the person buying or selling the business (who will only be permitted to use your personal information as outlined in this Privacy Statement). We do not directly share or disclose your Personal Information through International Data Transfers from the UK to any other country. We may use data storage providers such as Dropbox or Google Cloud who may store your Personal Information on servers outside the UK. If you would like any more specific advice on this, please contact us using the privacy@ibd-uk.com email address or write to us at Privacy Officer, ibd Business Advice Group Ltd., 1010 Cambourne Business Park, Cambourne, CB23 6DP. When you provide us with your Personal Information we give you the opportunity to tell us what communications you want to receive and how you want to receive them. You can opt out of receiving this information, or change any of your preferences, at any time. To opt out use the ‘Unsubscribe’ link in the email communications we send. To change your preferences for what you want to receive and how you want to receive it either email your changes to privacy@ibd-uk.com stating what you would like us to do. Within the EU GDPR 2016 and the Data Protection, Act May 2018, Data Subjects have Rights about their Personal Information and how it may be used. If you would like to exercise any of the Data Subject Rights available to you which include accessing, updating, rectifying and deletion of Personal Information the following information will help you with this. You have the right to request a copy of the Personal and Supplementary Information about you held by us through the Right of Access. You also have the right to request we correct any inaccuracies or incomplete data in the Personal Information we hold about you through the Right to Rectification. You also have the right to request the deletion of some or all of the Personal Information we hold about you through the Right to Erasure. If you have any other questions about your rights and how to exercise them contact the Privacy Officer, ibd Business Advice Group Ltd., 1010 Cambourne Business Park, Cambourne, CB23 6DP or email on privacy@ibd-uk.com . We take the privacy of our customers very seriously and we are committed to protecting your personal information. If you have any questions in relation to the information we hold about you or our use of that information, please feel free to contact the Privacy Officer, ibd Business Advice Group Ltd., 1010 Cambourne Business Park, Cambourne, CB23 6DP or email on privacy@ibd-uk.com. In line with best business practice we will periodically review all policies in the light of any legislative or regulatory changes or changes to our business operating practices. This policy will be reviewed annually and if required changes made to improve its effectiveness and accuracy about how we collect, store and process your Personal Information. We will flag on our website any significant changes that affect you and how we use your Personal Information in the updated policy or by sending you an email. This Policy was last updated on 25th July 2018.